Journey with Dr. Kirk Johnson to Yellowstone, where wildlife survives one of the greatest seasonal changes on the planet. The stunning new three-part series Great Yellowstone Thaw, co-produced with BBC, was filmed over the course of several intense months, from deep winter to early summer. The series intercuts the stories of several different animal families, including wolves, bison, grizzlies, beavers, and great gray owls. 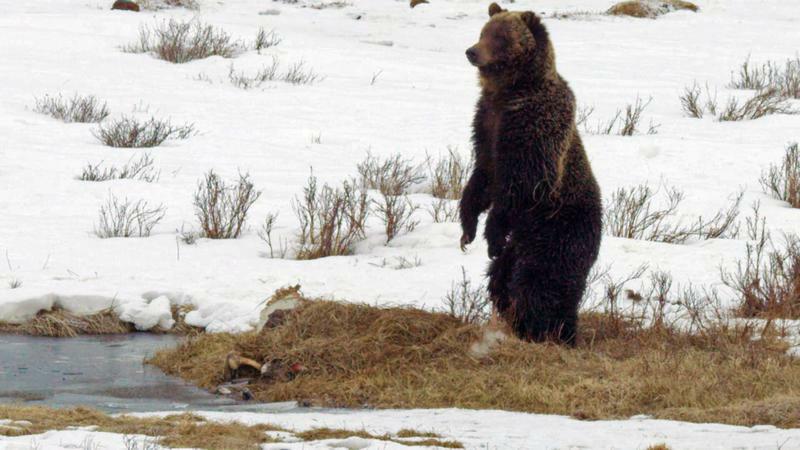 The series follows the animals in the Yellowstone ecosystem as they emerge from winter’s cold and adapt to an early spring thaw, before encountering the soaring summer temperatures. From winter to summer, Yellowstone’s temperature typically swings 140 degrees. Johnson, Sant Director of the Smithsonian National Museum of Natural History and a renowned paleontologist and author, hosts the series. He and a team of Yellowstone experts explore how these animals fend off floods, starvation, and fires, as well as the area’s extreme evolution from cold to heat during the spring season. Great Yellowstone Thaw is presented as part of PBS’ Summer of Adventure. On CPTV: Wednesdays, June 21-July 5, 2017, at 9 p.m.